The average price for this game in the past 6 months is $44.66. Lowest historic price was $39.99 on Apr 12, 2019 at Walmart. Its a bit weird to see this as an Xbox title but Kingdom Hearts III is also available on the Xbone via Target's attractive $40.99 pre-order discount. Another price drop we’ve seen on last week released Kingdom Hearts III on PS4. Take 15% off with a coupon code online at Rakuten. Offer is good through tomorrow. You really can't go wrong with Kingdom Hearts III for $11 off - less than a week after release. This is a "Power Deal" from DealGuru on MassGenie which requires logging in and clicking on the "join power deal" button to checkout. Shipping is free. Strong reviews from both fans and critics alike, if you've been a fan since the first installment - this is a can't-miss. Also available for Xbox One. The average price for this game in the past 6 months is $55.79. Lowest historic price was $40.32 on Jan 21, 2015 at Walmart. Hot damn. Kingdom Hearts III pre-order is $40.99 at Target. If you have a REDcard it'll be another 5% off. Price mistake similar to Walmart's last week? Will be interesting to see if Target simply cancel orders or honor it at this price. Holy cow. Kingdom Hearts III pre-order is only $40.32 at Walmart. Price mistake or deal of the year? Besides this, Uncharted 4 is also on sale for around $43. All solid deals. Though it might not be released until the end of 2014, Kingdom Hearts 3 for the PS4 and Xbox One is available for preorder at NewEgg and has a $10 gift card incentive to lure you in. A pretty good incentive for a popular console-only RPG like this, though still a TBA release date. The average price for this game since released is $29.71. The game first became 50% off on Nov 9, 2017 at GameStop. Lowest historic price was $15 on Nov 23, 2017 at Target. Today GameStop has dropped the price on Kingdom Hearts 1.5 + 2.5 Remix. New historic low price on the March 2017 release. Walmart has the PS4 copy of Kingdom Hearts HD 2.8 on sale for just under $20. Shipping is free if you purchase over $35 but otherwise you can just as easily opt for store pick-up. The average price for this game since released is $32.23. The game first became 50% off on Oct 15, 2017 at Best Buy. 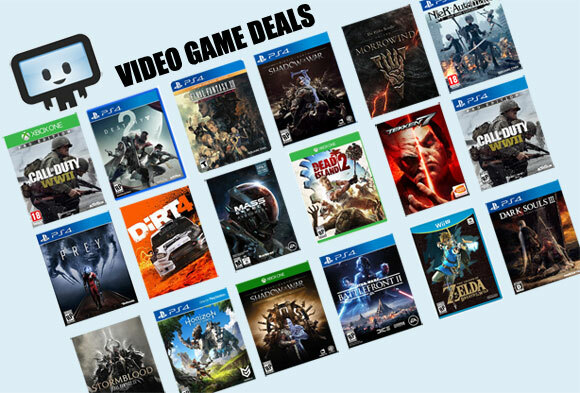 Lowest historic price was $17.99 on Nov 21, 2017 at GameFly. New low on Kingdom Hearts HD 2.8 Final Chapter Prologue (what a name...). Now $30 at Best Buy. Have GCU? that's $23.99 for you. Deal is back on Kingdom Hearts HD 2.8 Final Chapter Prologue that ties the lowest price ever. GCU members gets an additional 20% off which cuts price down further to $28. Have GCU? If you do, you can now grab Kingdom Hearts HD 2.8 Final Chapter Prologue (that game title name) for $32 after GCU. Week-long sale from Best Buy. Tying the lowest price on Kingdom Hearts HD 2.5 ReMix at Walmart with free store pickup. I still remember playing Kingdom Hearts on the good old PS2. If you have a PS3 and you enjoy action RPGs, this is the cheapest we've seen in recent months. The average price for this game since released is $24.61. The game first became 50% off on Apr 6, 2015 at Best Buy. Lowest historic price was $14.88 on Jun 23, 2016 at Walmart. Kingdom Hearts HD 2.5 ReMix hits an all time low today at Wally world at $20 with free store pickup. Lowest price ever by $5 and $10 off the $30 list price (recently reduced from $40). Believe it or not, HD II.5 ReMix is rarely on sale (last time was 4 months ago). Best Buy has the game on the PS3 for 25% off. Kingdom Hearts HD 2.5 Remix on PS3 is now available for pre-order at NewEgg. Today the $40 price tag can be cut down to $37. This HD remastered collection includes Kindom Hearts II Final Mix, Kingdom Hearts: Birth by Sleep Final Mix and Kingdom Hearts Re:coded. The average price for this game since released is $25.73. The game first became 50% off on Nov 28, 2013 at Amazon. Lowest historic price was $14.88 on Dec 28, 2015 at Walmart. New on the Fall 2013 released Kingdom Hearts HD 1.5 ReMIX. Best Buy is selling pre-owned copies for $14.99. Shipping to home is free w/ a total order of $35+ or you can order online and pick up at a local store if it's in stock. Buying pre-owned from GameStop costs $27.99 at the moment. Today marks the first significant discount we’ve seen on last week released Kingdom Hearts HD 1.5 Remix on PS3. Take $5 off with a coupon code online at NewEgg. This offer is only valid today. The average price for this deal since released is $24.35. Lowest historic price was $13.48 on May 16, 2013 at Best Buy. This is the cheapest price we've seen on Kingdom Hearts 3D for $10 with free shipping or free store pickup, today only. 100% of 29 buyers would recommend to a friend. Elsewhere is $30. This isn't the cheapest we've seen this Kingdom Hearts 3D, but it's $13 cheaper than anywhere else. Today only at Best Buy for $20 with free shipping. Current next best price is $33 at Amazon. While I was never a console gamer, I still remember playing Kingdom Hearts on the good old PS2 (which recently just ceased production... *sniff*). If you have a 3DS and you enjoy action RPGs, this is the cheapest we've seen in recent months. This deal seems to be gone already.